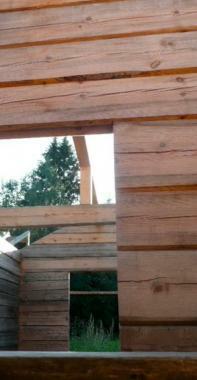 This is a new area of development for FSTC - the design and construction of bespoke outdoor learning spaces: using traditional scandinavian hand-building tools and techniques combined with locally and sustainably sourced timber such as douglas fir. 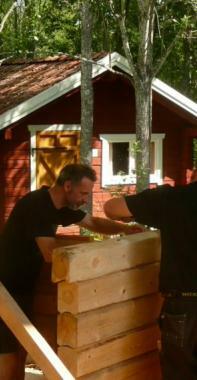 Since training to build log cabins last year at the famous Gransfors Bruk axe factory in Sweden, with master builder Olaf Jung, Simon has been applying those techniques to create durable and aesthetically-pleasing outdoor shelters to support school outdoor-learning strategies. 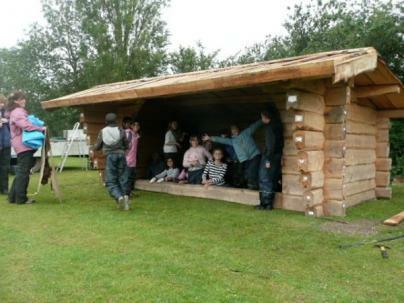 These hand-built structures can be designed as open-fronted shelters, with or without a raised floor, or as fully enclosed cabins. 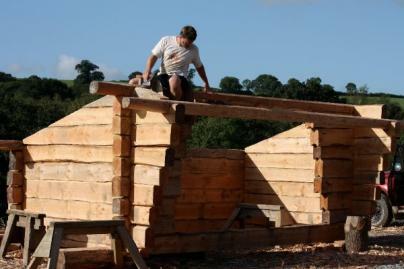 The buildings are created in Devon, then disassembled and transported to their final location, where they are rebuilt in 'kit form' (you can just make out the tags on the ends of the logs in the second picture which number each piece). 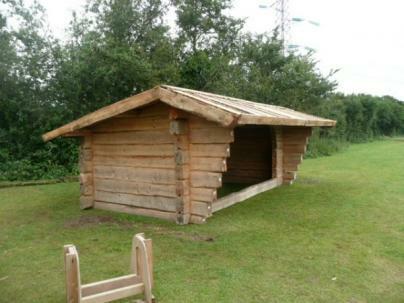 The build time is a minimum of 6 to 8 weeks for the type of shelter you see in the top two pictures and a very rough guide to cost for such a design is £7000 plus materials and delivery. Any serious enquiries should be directed to Simon via the Contacts page on the menu bar above. 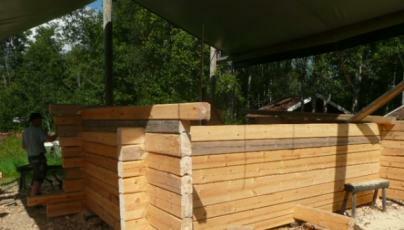 Below is a short elapsed-time video of a shelter being re-built at Botley Primary School.